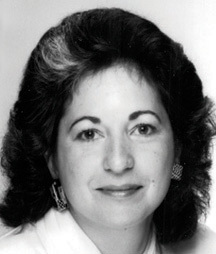 Ellen G. Witman is currently the Washington, DC Bureau Chief and Acting Editor of the Philadelphia Jewish Voice. She has been a contributor to the Philadelphia Jewish Voice for two years. In addition to writing for the Philadelphia Jewish Voice, Ms. Witman was the Executive Director of the National Association of County Behavioral Health and Developmental Disability Directors from July 2007 until April 2009. National Association of County Behavioral Health and Developmental Disability Directors is a small national association in Washington, DC advocating on behalf of county behavioral health and developmental disability authorities. Ms. Witman was responsible for bringing the perspective of the local, public mental health, addiction and developmental disability networks to Congress and the Executive Branch and for increasing National Association of County Behavioral Health and Developmental Disability Directors’s influence by building membership, increasing revenue and reaching new audiences. Prior to joining the National Association of County Behavioral Health and Developmental Disability Directors, Ms. Witman spent 16 years at the helm of her own Washington, DC-based consulting firm, which provided advocacy and communication services to a variety of nonprofits focused on human services. Among the issues she worked on are: refugee resettlement, immigration reform, child welfare, aging, health and mental health, housing and homelessness. Before going out on her own she spent 10 years as the Associate Director of the Washington Office of the Council of Jewish Federations. In addition to her professional work, Ms. Witman serves on the Board of Directors of the Washington, DC Jewish Community Center where she is President Emeritus. She also spent seven years on the DC Emergency Food and Shelter Board, including two years as the Board’s Chair. Ms. Witman holds a Bachelors degree in psychology from Temple University and a Masters degree in Clinical Psychology from Hahnemann University & Medical School in Philadelphia. September 2007: Chai Lifeline: Fighting Illness With Love.